Snowdon Mountain Railway. 1963/08/25. No. 4 "Snowdon" was one of the first batch built by SLM in Winterthur in 1896, but was taken out of use in 1936. 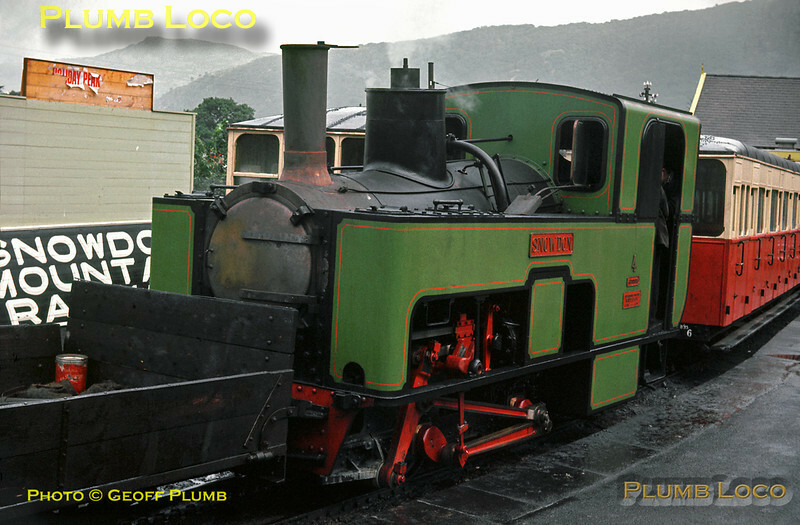 After prolonged storage, it had not been long back from its overhaul by Hunslet. It has just returned to Llanberis with the works and supply train for the summit café, this was always the first train up the mountain, prior to any passenger trains. Sunday 25th August 1963. Slide No. 264.